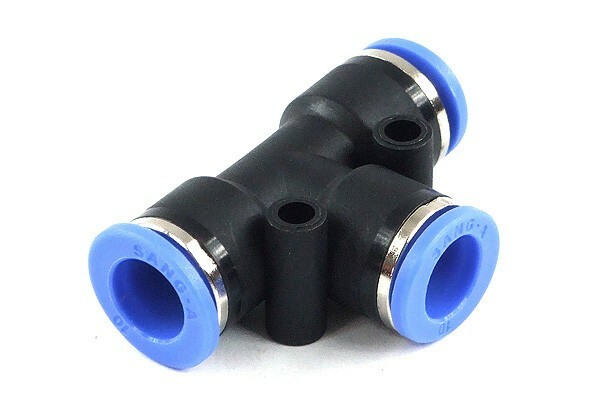 3-way plug-in connector for watercooling systems with stiff tubing. Also ideal for making an Inline-temperature sensor. For that the tube just has to be cut and the T-piece has to be fit in between the two endings. The third connector can then be fitted with a plug-in temperature sensor. This way the water temperature can be monitored quickly and easily. Important: Use only with stiff tubing.